Between the 1880s and World War I, Jews began to move into the Catskills, first to farm and later to enter into the growing vacation/resort trade. A small group of these farmers in the Fleischmanns area, who had been meeting for Torah study in one another’s homes, formally incorporated as Congregation Bnai Israel in 1918 and then purchased the land for the planned synagogue for $1. Over the course of the next year, this group was able to raise the approximately $3,500 they needed for construction, and ground was broken for the building in 1920. The local construction firm of Crosby and Kelly, who had earlier built Fleischmanns’ Skene Memorial Library, was contracted to do the work. 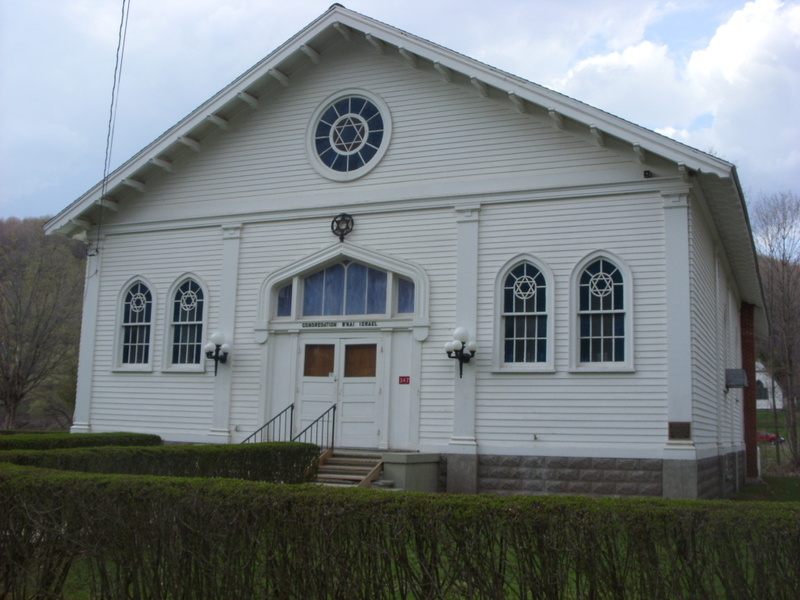 The simple yet beautiful structure that resulted from these efforts is listed in both the National and New York Register of Historic Places. 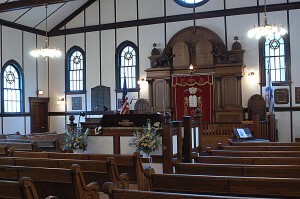 The aron kodesh, in which the Torah is housed, is carved of golden oak, and the exposed truss ceiling is apparently the only one of its kind in a synagogue in the Catskills. The building also features stained-glass stars of David in the windows, gabled roofs, and Gothic and classical detailing. The sanctuary was later partitioned to create the social hall, kitchen, and entryway. Originally Orthodox, Congregation Bnai Israel is now an egalitarian synagogue affiliated with the Conservative movement. 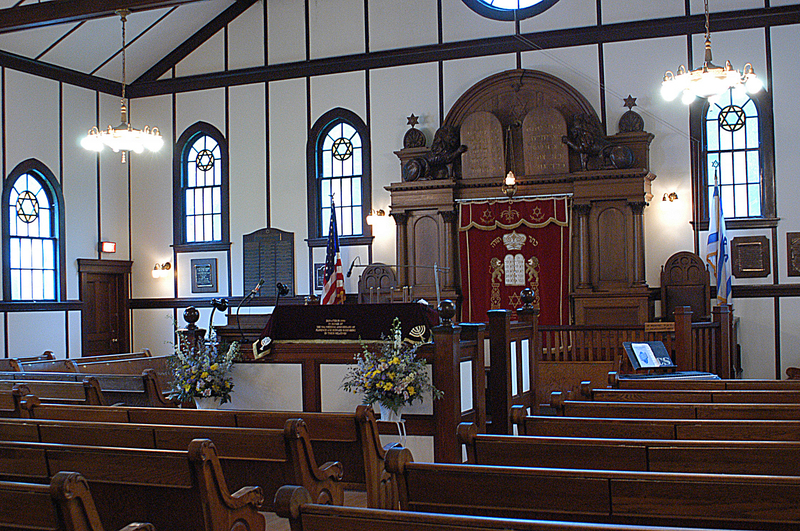 Come see our lovely historic synagogue by joining with us at Friday night or Saturday morning services during our summer season (see details under Worship). The following article ran in the Watershed Post at the time of Bnai Israel’s 90th anniversary, in 2010: Oldest Synagogue in Fleischmanns.